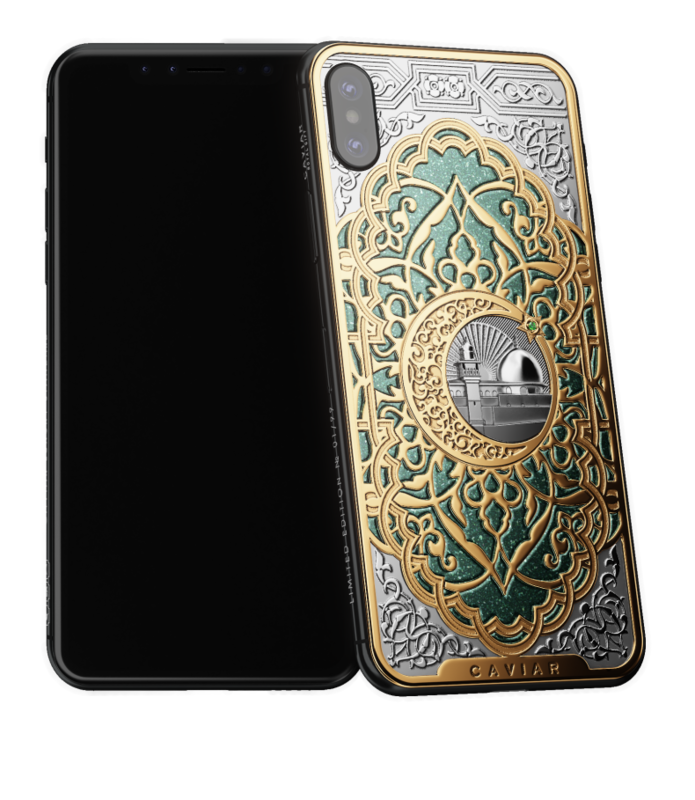 Caviar iPhone X Jerusalem Mosque "Oh beautiful East! 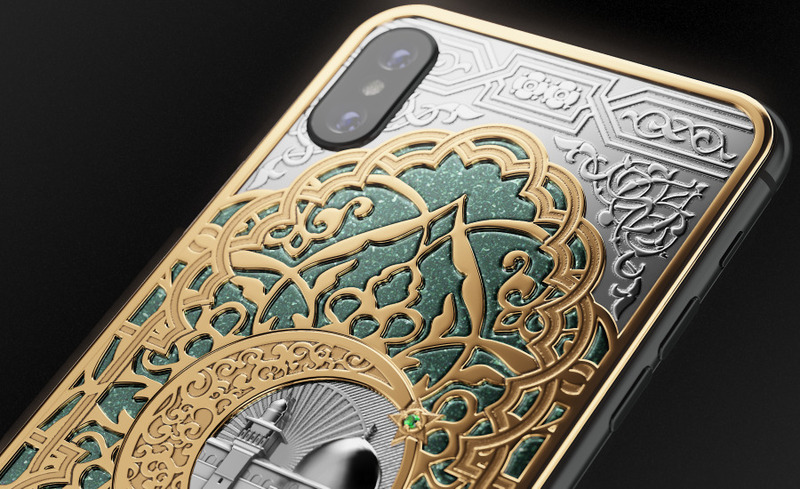 Bowing to your beauty, mystery, wealth and majesty, Caviar created three designs dedicated to the great miracles of the East, and specifically – to its mosques. 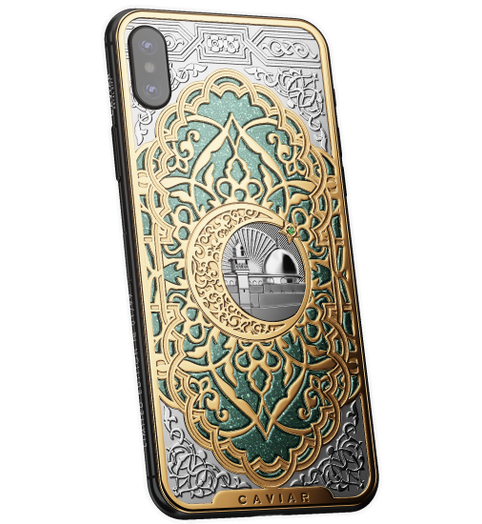 One of them is Al-Masjid al-Aqsa located in Jerusalem. 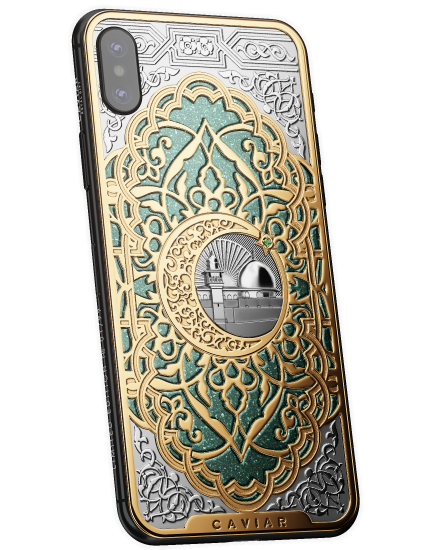 The image of the mosque in form of an exquisite authentic miniature is put in the middle of the body and complemented with a precious picture of a half-moon and a star; a splendid ornament is spreading out of them with pompous floral patterns, which amaze with their beauty and diversity. 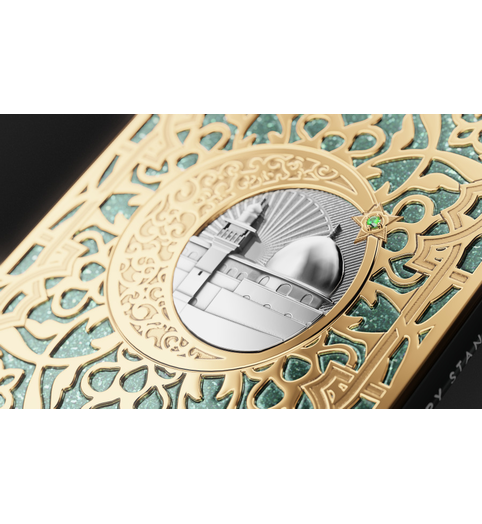 The third Islamic sanctuary – the Al-Masjid al-Aqsa Mosque stands on the spot where the Prophet Muhammad performed his night ascension and all the rules of the Muslim Faith were revealed to him. 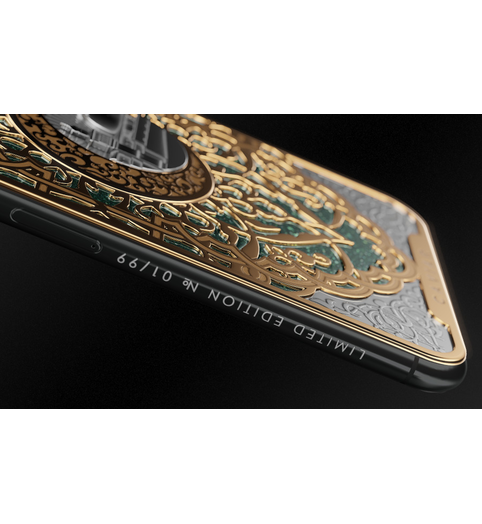 Dedicating the smartphone design to this mosque, Caviar underlines its beauty, meaning, majesty and inviolability. " 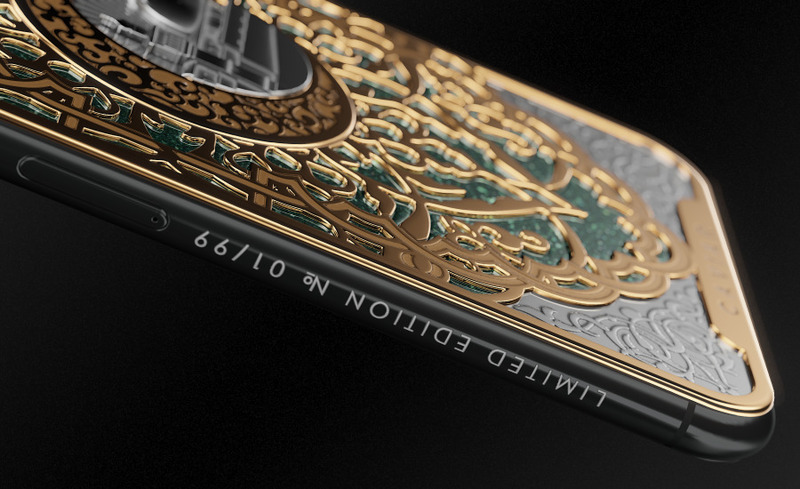 "Oh beautiful East! 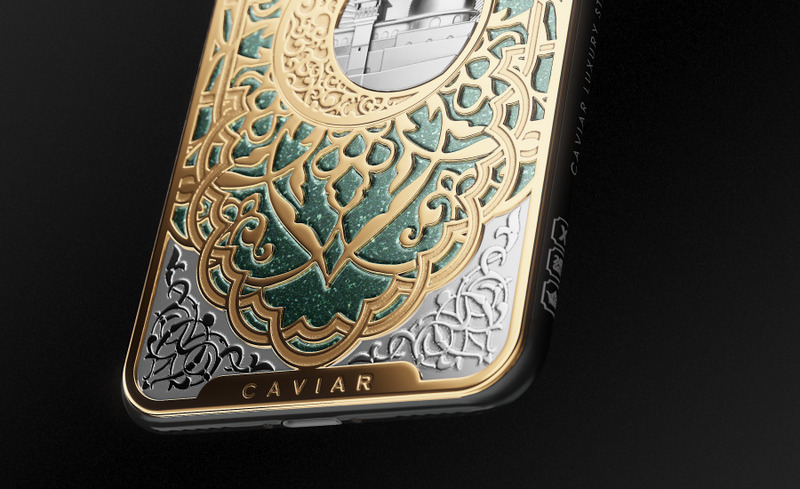 Bowing to your beauty, mystery, wealth and majesty, Caviar created three designs dedicated to the great miracles of the East, and specifically – to its mosques. 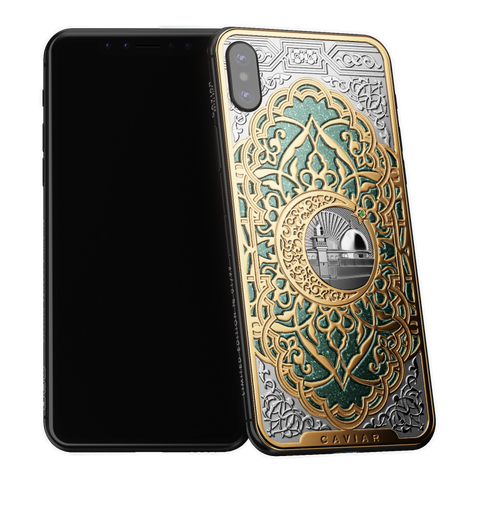 One of them is Al-Masjid al-Aqsa located in Jerusalem. 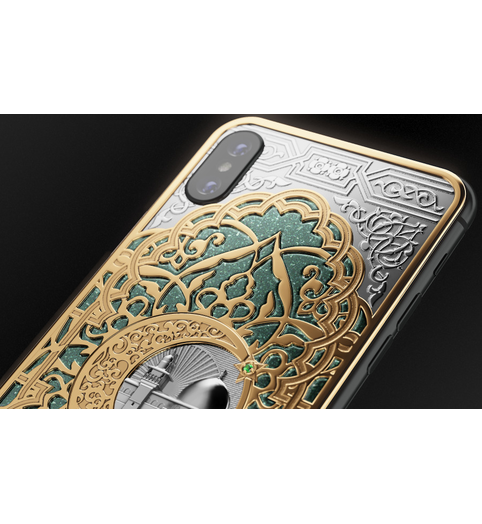 The image of the mosque in form of an exquisite authentic miniature is put in the middle of the body and complemented with a precious picture of a half-moon and a star; a splendid ornament is spreading out of them with pompous floral patterns, which amaze with their beauty and diversity. 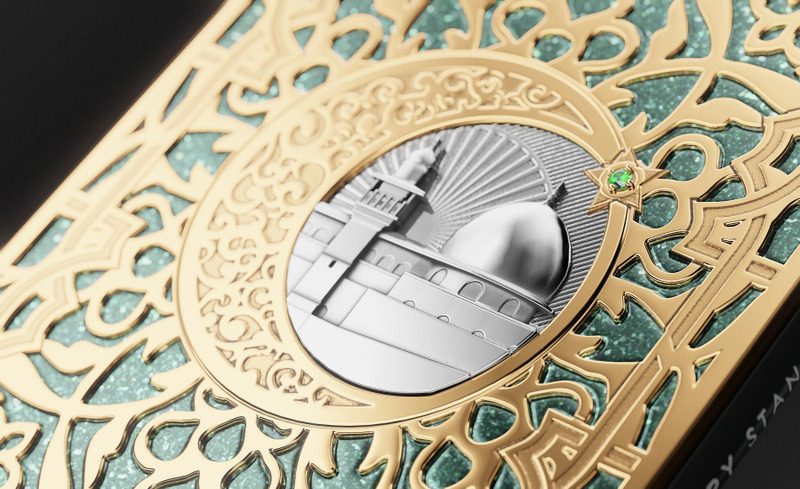 The third Islamic sanctuary – the Al-Masjid al-Aqsa Mosque stands on the spot where the Prophet Muhammad performed his night ascension and all the rules of the Muslim Faith were revealed to him. 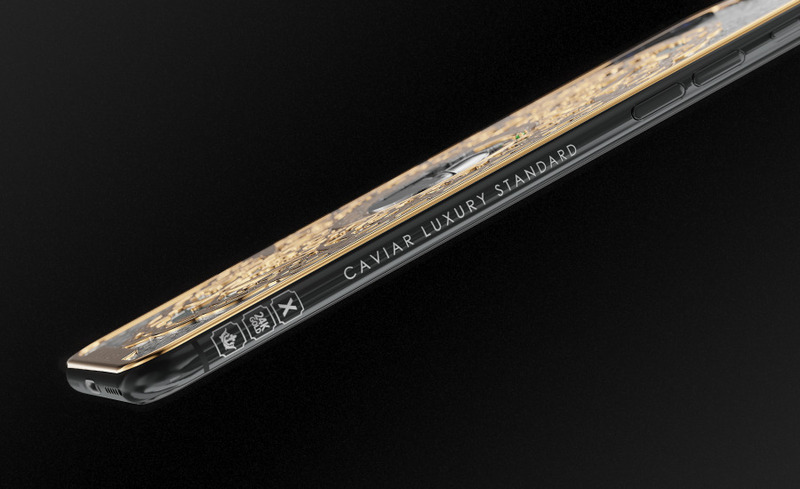 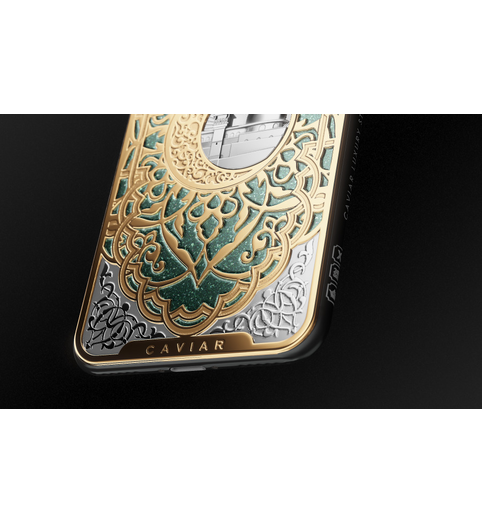 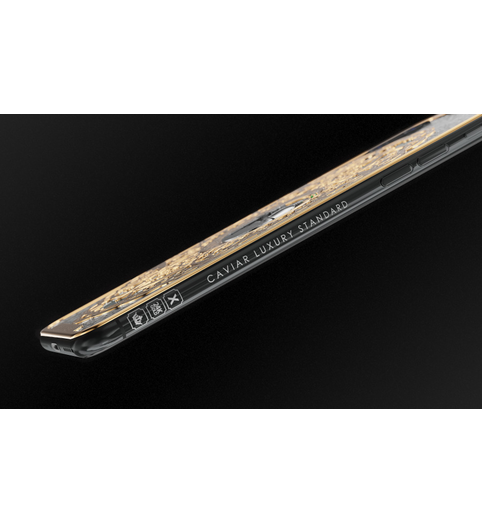 Dedicating the smartphone design to this mosque, Caviar underlines its beauty, meaning, majesty and inviolability.